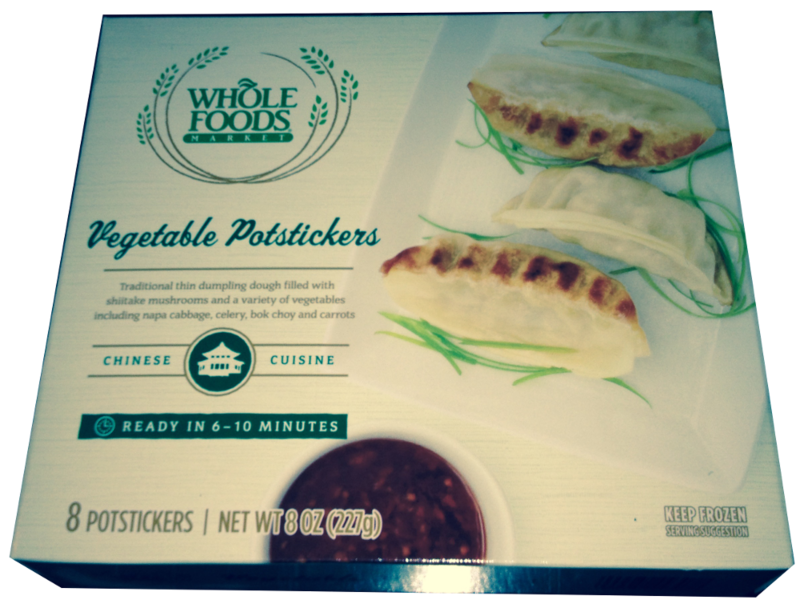 Frozen Dumplings Review: Whole Foods Vegetable Potstickers. For the New Year I am starting a new feature for Dumpling Hunter, reviews of store bought frozen dumplings. I have had a wide range of experiences with store bought frozen dumplings, from excellent to horrifying. I’ll sort it out for you, so that you don’t need to experiment. Whole Foods makes a frozen vegetable potsticker that may be the worst dumpling I have ever tried. My problem with them was that the filling was mushy and gloppy. The packaging lists rolled oats as one of the filling ingredients, which I think is where the mushiness came from. Maybe when they are steamed the oats form a porridge inside the dumpling wrapper. I managed to get through only one of these dumplings. 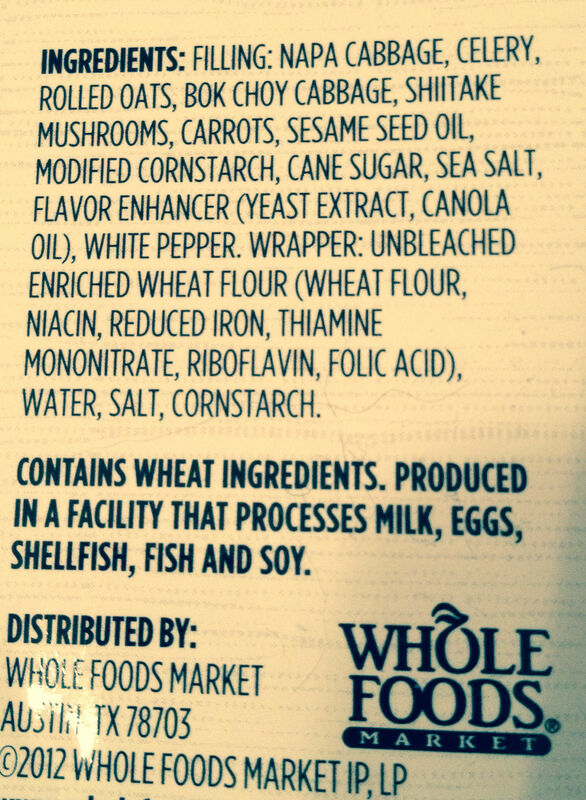 Whole Foods sells them in packs of eight and, while not labeled as such, there are no meat or dairy products listed among the ingredients so they appear to be vegan. The ingredients include “Yeast Extract” which is a way to add MSG into packaged food without having to label it as such. Yeast are high in glutamate, the G in MSG, add water and salt and you have MSG. The packaging advises against using the microwave to cook them and recommends that you pan fry the dumplings until one side is golden brown and then add some water to the pan to steam them to finish them off. I give these dumplings – 0 stars. This entry was posted in Frozen Dumpling Review, Vegan, Vegetarian. Bookmark the permalink. 2 Responses to Frozen Dumplings Review: Whole Foods Vegetable Potstickers. I agree. I tried these Whole Foods Vegetable Potstickers last night and they were absolutely revolting. Never again! Just, disgusting on every level — smell, taste, texture, aftertaste, and don’t even get me started on the overpowering onions!